Open TPU-reinforced upper – Key placed panels from heel to toe for optimal ventilation and abrasion resistance for long-lasting use. One-pull adjustable strap system – A single pull for a secure, dialed fit. Textured EVA footbed – Cradles your feet in all-day comfort with its anatomical arch support. PU midsole – A durable damping foam that helps reduce pressure pushed on the underfoot with bounce back properties. Textile-reinforced rubber sole – Sure-footed grip over slippery surfaces. 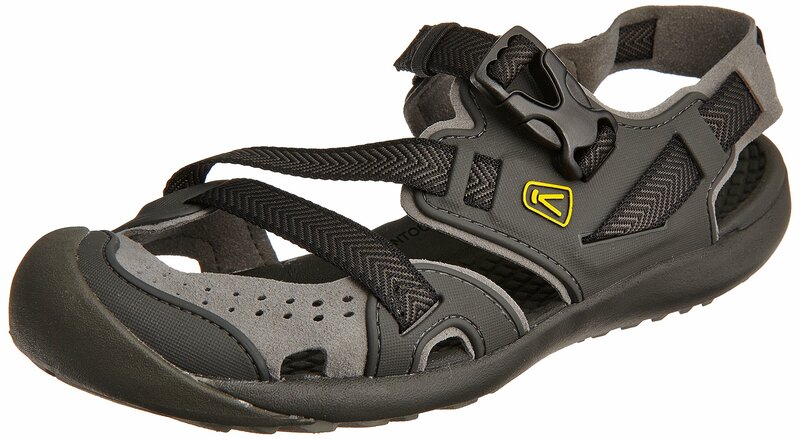 The KEEN Zambezi is there newest, high-performance water sandal. Crafted for the kayaker and rafter, it features a one-pull adjust for secure fit, and a high-traction rubber outsole for maximum grip on wet surfaces. 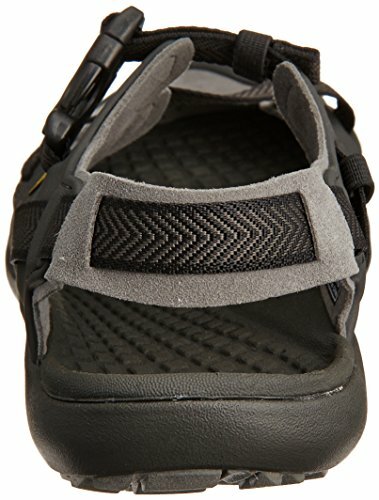 Designed for the needs of Trail guides and professional outdoor goers, the Keen Men's Zambezi Sandal sports an amphibious design that features a durable open TPU-reinforced upper which has key placed panels from heel to toe for optimal ventilation and abrasion resistance for long-lasting use. Securing the upper A one-pull adjustable strap system consisting of a high-strength straps, make it easy to adjusts with a single pull for a secure, dialled fit. Plus, this sandal releases with the simple push of a buckle for quick bailing. 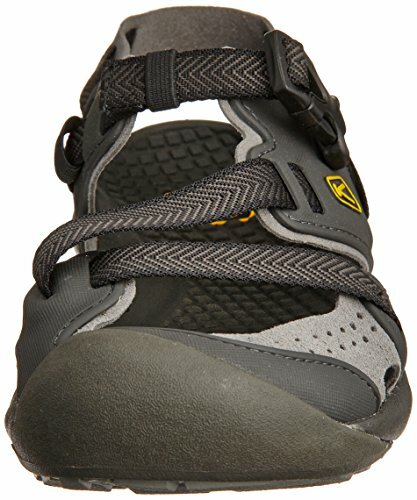 The Midsole of the Keen Zambezi walking shoe takes form with its PU midsole, a durable damping foam that helps reduce pressure pushed on the underfoot with bounce back properties that propel you through your trail terrains. Shaped to support the foot the PU midsole has a contoured arch counter, additionally reinforcing the midfoot for a smooth transition, and maximum stability to your stride. Working in unison on the inner a Metatomical EVA footbed design This internal support mechanism is anatomically engineered to provide excellent arch support as well and also cradles the natural contours of the foot. Lastly a textile-reinforced rubber sole forms the outer structure with large traction lugs for sure-footed grip over slippery stream beds and smooth urban surfaces alike. From beaches to mountains to city streets, Keen believes the outdoors is anyplace without a ceiling. Keen believes in living a HybridLife, which means being part of a larger community that is full of people whom create possibilities, play into the out-of-doors and care for the world around them.